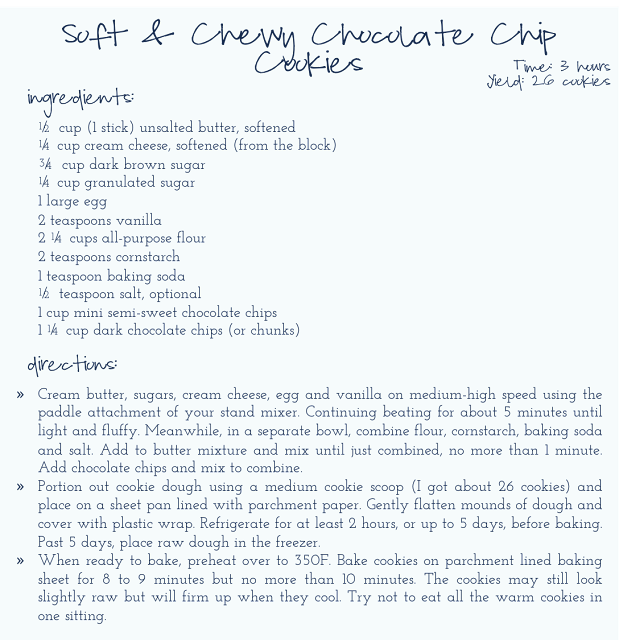 I think I have 6 different "favorite" chocolate chip cookie recipes. It's just that, I get bored. Don't get me wrong, I'll make a winning recipe over and over again but I also love trying new stuff. I recently made these insane chocolate chip cookies and I'm never looking back. I'm so glad I stored some pre-portioned dough in the freezer for all those immediate cookie cravings. These cookies don't spread much when they cook precisely because the dough needs to be refrigerated before baking. 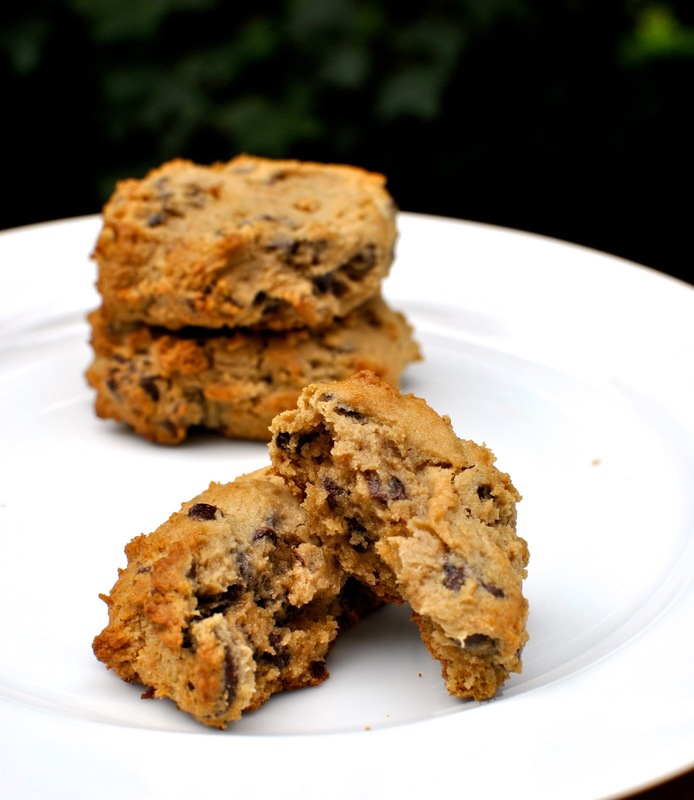 Don't plan on making these cookies and eating them in 30 minutes. The crucial step is letting the dough chill which takes at least 2 hours. They are small but mighty delicious. They come out of the oven thick and gooey and they stay that way even after they cool. This is the chewiest, chocolatiest cookie I've ever had. 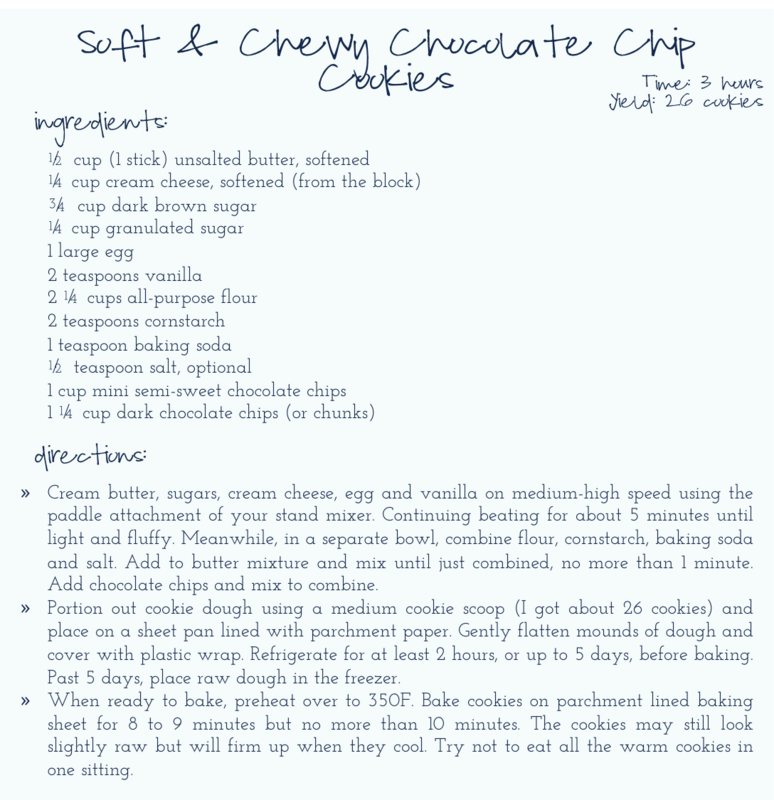 Also, feel free to use your favorite combination of chocolate chips. This is just what I had on hand.